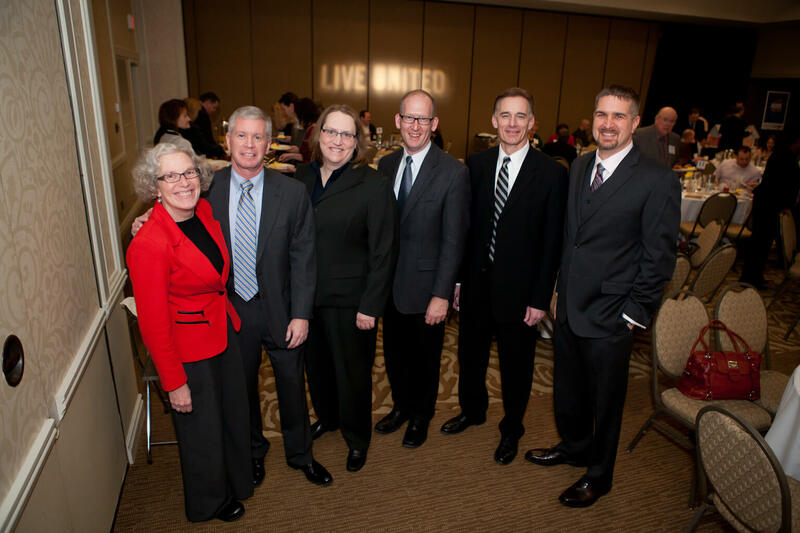 On February 6, United Way of Dane County held its first ever Leadership Giving Thank You Breakfast at the Madison Concourse Hotel and Governor’s Club. This event focused on celebrating the collective impact of over 90 local companies and the several thousand local leadership level philanthropists who made United Way of Dane County’s 2013 campaign a record breaking success. This event was sponsored by Alliant Energy, Hooper Corporation, Madison Gas and Electric Company, American Girl and the Madison Concourse Hotel and Governor’s Club. Recognizes an organization that has the largest percent increase in the number of new Key Club members. Recognizes an organization that generates the largest increase in Key Club giving. Recognizes an organization that generate the largest percentage increase in Key Club dollars. Recognizes an organization for having the largest average Key Club gift. Steven Boeder, The Vollrath Company, L.L.C. Chad Luetkens, Wisconsin Distributors, Inc.
Edward Murphy, Sub-Zero Wolf, Inc.
Meg Prestigiacomo, Robert W. Baird & Company, Inc.
Brody Richter, DeWitt, Ross & Stevens, S.C.
Sverre Roang, Whyte Hirschboeck Dudek S.C.
Jason Hagenow, Meridian Group, Inc.
John Hager, J.H. Findorff & Son Inc.
Scott Hausmann, Hausmann-Johnson Insurance, Inc.
Anthony Hayes, Strand Associates, Inc.
Chase Horne, DeWitt, Ross & Stevens, S.C.
Kristin Rucinski, The Road Home Dane County, Inc.